Now that Spring is here, it’s time for make-overs, do-overs and new beginnings. Could you use one of those? There are days I wish that I could do over. Like when I get a late start because I slept too long, and I end up starting my day without first going to God’s Word to soften my heart and settle my soul. And then, as a result, I speak a harsh word, instead of letting gentleness win out. And then I complain verbally, instead of seeing the good in the situation. And then it’s all downhill from there…. God, is there any hope for me? It’s a good thing that the God of Heaven is a God of fresh starts and new beginnings. 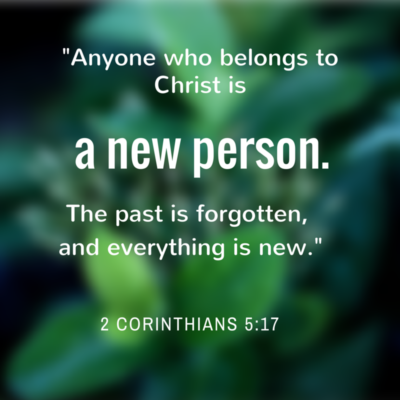 “Anyone who belongs to Christ is a new person. The past is forgotten, and everything is new” (Second Corinthians 5:17, CEV). That doesn’t just mean we become “new” when we initially come to Christ and surrender our lives to Him. It means we can experience new beginnings every day – every time that we see the need to start over. Every time we want to make it right with Him again. Because we are human, we still sin. Even when we love God and set out to do what’s right, we still mess things up at times. Yet, a new start awaits. It’s available for the asking. “Shape a Genesis week from the chaos of my life…. Bring me back from gray exile, put a fresh wind in my sails” (verses 10-12, The Message). King David asked for a new start after messing up big time. And God, in His mercy, gave him one. When you and I ask God for a fresh start, He gives one to us, too. And He makes everything new. Everything. Your mind– to think pure thoughts. Your body – to live purely once again. Your mouth – to speak words that heal, not wound. Your heart – to seek after a path that is straight and right. And once we get that fresh start, we can live like a new person — without regrets. Although we all have regrets from time to time, we don’t have to live with them. I encourage you to let them go. David did. Later, in Psalm 103:12, David says God “has removed our rebellious acts as far away from us as the east is from the west” (NLT). That’s right. He hurled our sins further than the California Coast is to the Jersey shore. From years past into a million years hence. One translation puts it: “As far as sunrise is from sunset, he has separated us from our sins (The Message).” Go ahead. Try to find them. You can’t. They’re irretrievable. And that’s the point. With regrets in your rear view mirror that you can never return to and retrieve, there’s no place else to go but straight ahead – onto a new road, toward a new direction, into a new day, with a fresh new start. Do you need a new beginning today? Would a fresh start put a fresh wind in your sails? 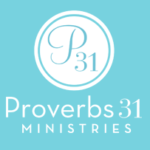 Then pray as David did: “Create in me a pure heart, O God, and renew a steadfast spirit within me.” Watch Him create a new you, right before your eyes. And then let Him throw that old you (with all those regrets) right back to the Jersey shore. Time to See Growth in Your Marriage? on Time for New Beginnings. Its very helpful and comforting. I really needed to know that I can start from the beginning and not worry about the past.